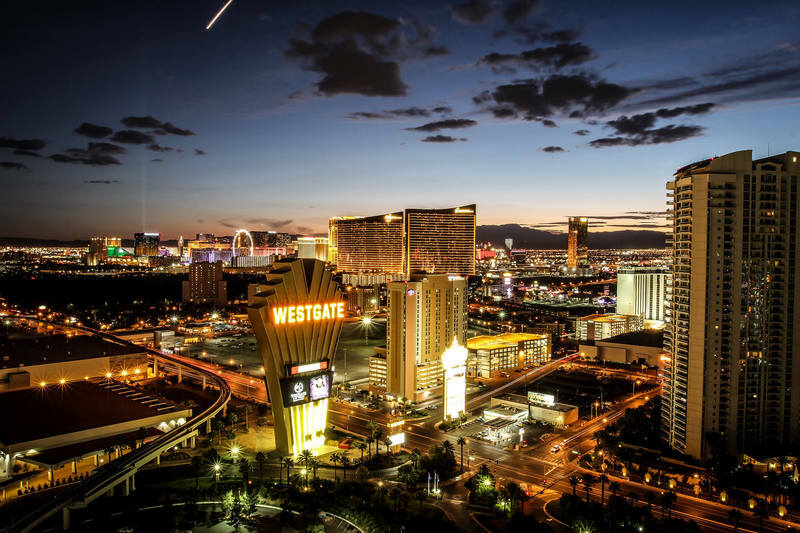 The Las Vegas Strip area has a new card room with the poker reboot at Westgate Las Vegas. The casino, which removed its handful of poker tables back in the summer of 2015, re-introduced traditional Texas hold’em cash game poker to the property Aug. 9, Card Player has confirmed. The new room, located next to the off-Strip casino’s prominent sports book, has six tables, spreading no-limit, limit and pot-limit games. Unlike many other rooms nearby, the poker room isn’t open 24/7. It closes for six hours every morning. The reopening comes on the heels of Nevada poker rooms recording their best June in a decade. The 62 rooms statewide raked a combined $16.67 million from cash games during those 30 days. The amount was the top performing June for the market since the $17.66 million in June 2007. Still, there’s plenty of work to be done before calling it a comeback (there were 104 Silver State poker rooms in 2007). Nevada poker revenue over the 12 months prior to July was $117.4 million, only a third of a percentage point better than during the same period the previous year. Westgate’s decision to close the room two years ago was one of several closures in 2015. Hooters Las Vegas shuttered its room in March of that year, which followed a small poker room at the Linq, which was formerly Imperial Palace, closing in January. However, the Linq reopened the room later in 2015 and then closed it again the following summer. This year, the Las Vegas Strip has lost rooms at Luxor, Monte Carlo and Hard Rock. Las Vegas’ poker supply has been gradually decreasing in the aftermath of online poker’s Black Friday in April 2011. More than 20 rooms around town have closed since the real-money web version of the game became relatively unavailable to Americans, including those at Circus Circus, Sunset Station, Aliante Station, El Cortez, Riviera, Texas Station, Palms, Bill’s Gambling Hall, M Resort, Tropicana, Gold Coast, Tuscany and Fitzgerald’s. Sin City has about three dozen rooms these days, with the main casino corridor having 18 of them and about 260 tables, though that rises dramatically when the WSOP is running. In 2007, which was the height of the poker boom in Nevada in terms of market size, there were 26 Strip poker rooms with a combined 396 tables. What has caused the decline in Nevada poker? The answer isn’t just the internet. Nevada launched online poker in 2013, but with a lack of liquidity those games haven’t been as robust as originally anticipated. Nevada’s online poker market is worth less than $10 million a year.